I wrote back to say that I was not being deliberately mysterious. It is partly because I’m not keen on all the blogs that go on about ‘I saw this’ or ‘I drank that’ as the opening line although I have been writing a bit more like that recently because that seems to be what readers want. It’s not that there is anything wrong with sharing recommendations for good places to grab a coffee but I am still thinking about trying to build the site so it is more like a magazine or journal and it seemed better that I wrote posts like an anonymous editor. That’s not to mean that writing has to be opinion free - just the opposite as the best editorials express but justify a distinct viewpoint. As I thought more about the email I realised that actually it is a reasonable question because readers need some background information to help them judge the validity of a comment or to work out why one view was adopted and not another. And also, of course, I have to confess that I’ve seen an article or a post about interior design on other blogs and been slightly curious about where the author lived and what their real taste is like when it comes to decorating their own home. Music critics don’t have to be able to play an instrument or write a score to be able to make sound judgements and write well … but it helps to give their pieces credibility. That thing about being able to walk the walk as well as talk the talk. And of course when it comes to writing about design or architecture it can be too easy to avoid writing about something you don’t really like but the reader then has to piece together why something they think interesting or important has been omitted or, worse, why something they like or admire has been slammed. Often that comes down simply to personal taste so the reader has some interest in understanding more about the personal taste of the author. The previous post here was about the way I use or struggle to use social media and this is partly because I’m not from that generation that wants to share everything. The idea of a selfie still seems odd: if I go to a fantastic place I know that I’ve been there and I don’t need a photo of me standing in front but I will take a photo of the place itself to remind me of what it was like. Good attitude - bad memory. But here goes. Just a bit about the “me” - the person behind the blog ……..
My name is John Heward. I’m an architectural historian by training but a social historian for much of my career and I moved to Copenhagen over a year ago to do research for a book about royal architecture in Denmark in the early 17th century but I’m not completely stuck in the past - I’m keen to write about craftsmanship, modern design and modern architecture for a general but curious reader rather than for professional designers or architects. There are plenty of magazines and books that give a broad overview of a period or a trend or a style that have plenty of photographs and there are extensive and expensive studies and monographs of architects or designers but not so much in that middle ground that talks about why something is well designed or why a building does or does not work. In terms of my own taste and preferences, which obviously does influence what I write about and what I say, then I would confess that I really struggle when it comes to ‘post-modern’ design because I’m drawn to architecture that is rational and well proportioned. For me architecture and design should be functional as a prerequisite … in most cases buildings have to work to earn their places in our lives. The bottom line is really that bad design annoys and frustrates me. Being entertaining or being fun is great but that’s what comes after the rest is sorted out. Tivoli is a fantastic place for an evening and is the right place for fantasy and imagination but tiring and distracting for everyday life. Modern life is bright enough and loud enough without architecture and interiors demanding attention. Sometimes I think buying the Wegner chairs was a bit safe but then I never get tired of the way they look amazing from every angle. Finding the right table was interesting. 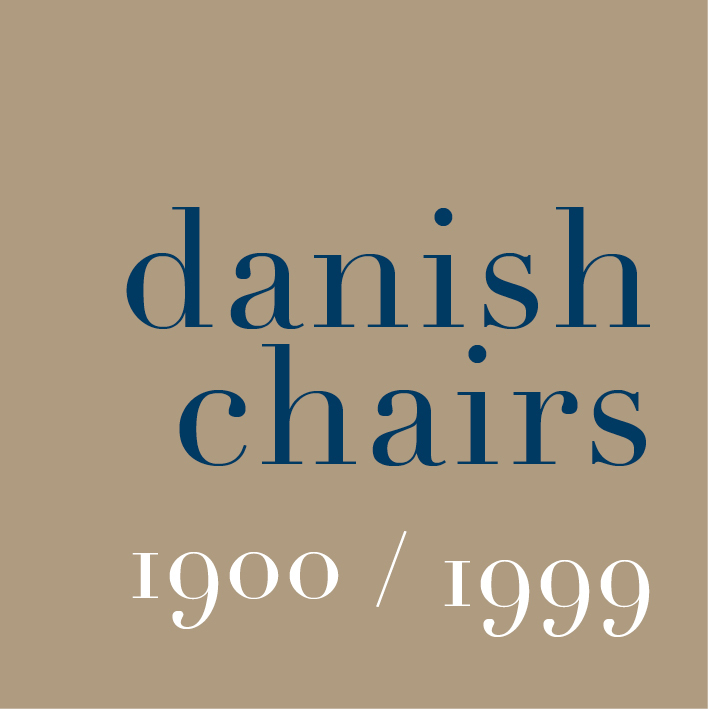 For several years the chairs were around an old table from Habitat that was the right size for where I was living then but I kept going into Skandium in London convinced that somewhere there was a table that was right for the chairs. On one trip, one of the staff in the shop found a picture of this table which they did not stock but had to be ordered in ... it was only as we filled out the details for the paperwork that we realised that actually the table, designed more than 50 years after the chairs, was by Wegner's daughter. Nor am I a great one for pattern unless it comes directly from the materials used or from the techniques of manufacture … so patterns of weaving, pattern incised on a thrown pot and so on are fantastic. Flowers or wavy lines to fill a gap … not so much so. And the same with architecture so I really admire the work of David Chipperfield, John Pawson and Vincent Van Duysen. Great architecture is about understanding and mastering space, light, materials and complex functions … not about which suspended ceiling tile to use. So for architecture and design not just being rational is important but add to that honesty and integrity. Plastic is a fantastic material so why make it look like marble? But my tastes and interests are not all Shaker severity and Bauhaus steel. The national bank in Copenhagen by Arne Jacobsen is an absolutely amazing building but I’m fascinated and intrigued that the same mind could produce delicate floral designs for textiles. The mind, the imagination and the decisions made through a designs development are fascinating. Colour, tone and texture are really important and not discussed enough when people talk about architecture and design - I’m not interested in flash brash colour for the sake of it but how using strong colour takes real confidence and colour or the suppression of colour is used in the best designs as a tool to enhance, manipulate, set moods. In much the same way I’m also fascinated by the process of making and how craftsmanship feeds into the design process. Photographs on this web site are important and 99% of the photographs have been taken by me because I know what I want to show for the post and why. And finally, as a historian, I’m curious about the future and what we might want or have tomorrow but really more interested in how we got to what we have today. This all makes it sound as if I embrace the inner puritan and guess I’m guilty as charged. Some of this was explained in the reply to that email from Sweden.